Feast your eyes on Brushfire! A gritty, yet delicate, hand-inked display font with plenty of soul. 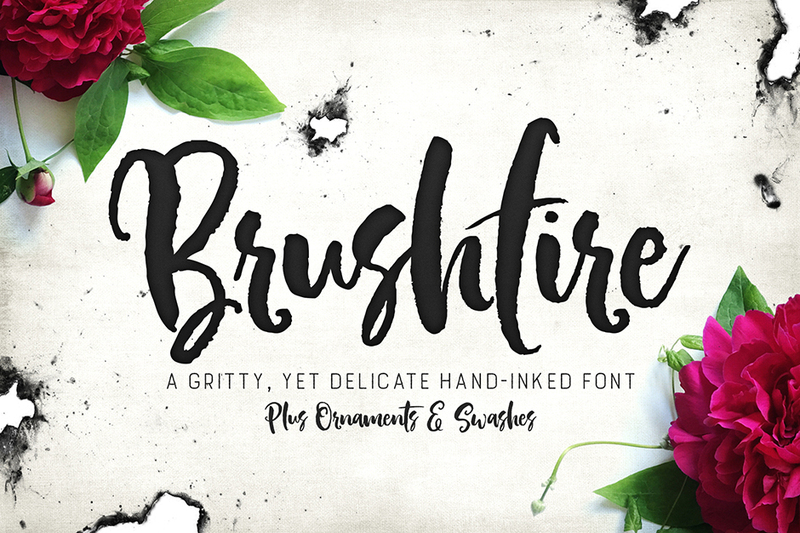 Made with a super-fine art brush and thick watercolor ink, Brushfire is a blend of classic characters and quick strokes, for a unique set of glyphs that work on just about everything. File size is approx 328.5KB (713KB unzipped), offered as a single download.